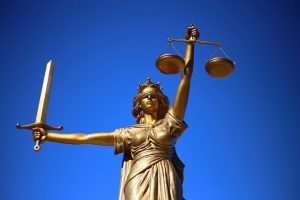 Home › Services › Landed with the law? Are you one of those lucky students (usually studying Business) who has just been landed with a law unit and are now discovering they are expected to learn about legal information sources, the law, and a referencing system called OSCOLA? If not yet, if you are in your second year, it might happen soon. Don’t panic! Your library is here to help. When it comes to finding legal information, Westlaw is your friend. It presents cases in a standard form ready to copy and paste into your OSCOLA referencing footnotes (OSCOLA has footnotes, it’s that different from APA). Lexis Library has also become almost as student friendly recently. They search largely the same thing and are both very reliable sources. Westlaw makes it more obvious whether related cases have upheld, overturned, or just mentioned other cases, and so is probably the easier of the two for you to use. We can walk you through OSCOLA, help you solve any referencing challenges you might face. We produce library guides for OSCOLA referencing: visit the Library guides library webpage and search the library guides for “oscola”. Each of the guides can be downloaded as a pdf document and saved and/or printed. It might be easiest to print these off so you can have them beside you to refer to while you work. Further help and advice is available from the Law Librarian.